We love our kids and want to keep them safe, so we need your help. 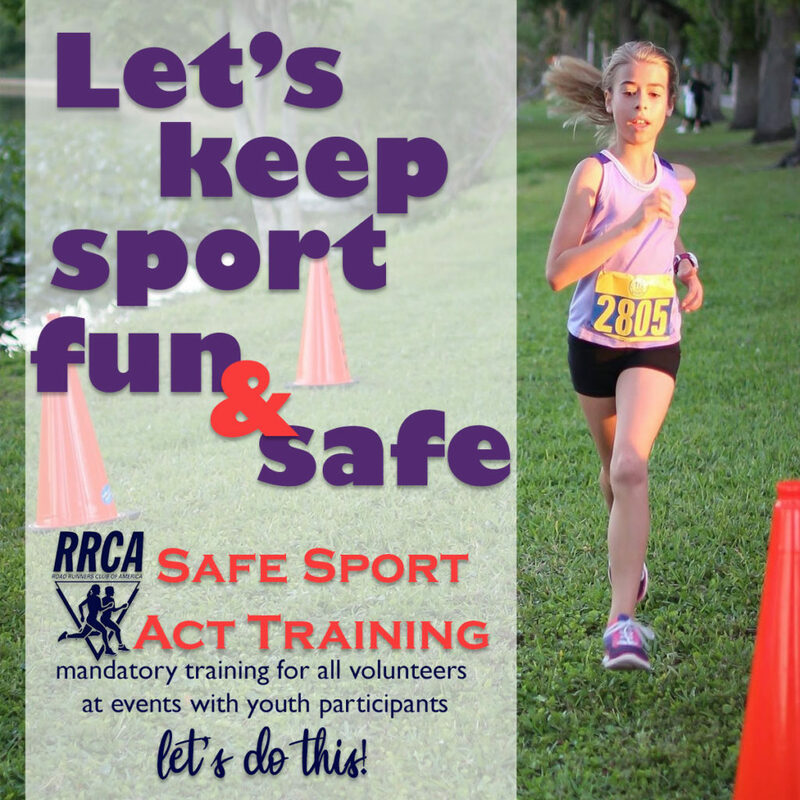 To keep youth running thriving, all volunteers for Lakeland Runners Club (LRC) races, training programs, and group runs must complete a short training course to meet the requirements of the new federal law commonly known as the Safe Sport Act. By taking this training, you are a part of our daily effort to make athlete well-being the centerpiece of our running sport programs. Thank you for helping us champion respect, and end abuse in sport. This free training program was designed by the Road Runners Club of America. The course must be completed on a computer, as it has features that are not supported on mobile devices. If needed, disable pop-up blockers for the online tool called BrainShark. The course takes approximately 23 minutes. If you have completed training from another source in 2019 that meets the Safe Sport Act requirements, please forward that completion information. If you are completing the training for the Lakeland Runners Club, use LRC as your company. Verify your email is correct so the completion certificate can be emailed to you. Please forward your certificate of completion to lrcvolunteer18@gmail.com. We recommend that you use the Google Chrome browser to view the training. It is OK if your certificate doesn’t pop up at the end of training, it will be emailed to you at the address you entered. If you have any issues please email lrcvolunteer18@gmail.com.